One of the BBC’s flagship news programmes has shown a “strong” bias towards Britain staying in the European Union (EU), a media monitoring group claimed last week. From the 13th of January to the 11th of March 2016, News-watch analysed 40 editions of the popular current affairs programme Newsnight. News-watchnoted that 25 of the guests who appeared on the programme were in favour of Britain staying in the EU, compared to only 14 who advocated the UK leaving the union. 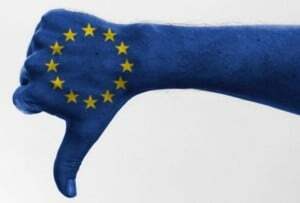 The monitoring group noted that: “The former President of the EU Commission, José Manuel Barroso, and the former Swedish Prime Minister, Carl Bildt, have had the clear opportunity in main interviews to explain why leaving the EU would not be in the UK’s interest. There has been no balancing opinion from similarly weighty figures” who support Britain leaving the EU. The BBC has always been the propaganda mouthpiece of the British establishment, yet many Britons still cling to the deluded notion that the BBC is an impartial news organisation. It is clear that the British establishment is desperate to keep Britain in the union, and this is reflected in the BBC’s reporting of the issue. A Brexit may prove to be the catalyst which encourages other countries to leave, triggering the collapse of the EU entirely. Unless the Western elite manage to roll a collapsed EU into a more globally integrated system, this would be a disaster for the globalists. If European nations regain control over their own affairs and resort back to national sovereignty, the agenda of the shadow elite in the form of destroying nation-states and building a global empire will be severely impeded. The debate on whether Britain should leave or stay in the EU has been gathering pace in the UK for years, and the Prime Minister has finally set June 23rd as the date for the referendum. David Cameron is merely trying to appease some factions in Britain who are pro-national sovereignty and feel that too much power is concentrated in the bureaucratic, technocratic and largely undemocratic hands of the EU. One the most pivotal speeches that Cameron has made on the EU in recent months, was not given at the House of Commons, but at the shadow British government: the Royal Institute of International Affairs (or Chatham House). The executive body of the EU – the European Commission – is a corporate partner of Chatham House. The majority of the major political figures in the West support Britain staying in the EU, including Barack Obama, Tony Blair and Peter Mandelson. This is because the EU is far more than just a union in Europe; it’s a stepping stone towards global government. The former President of the European Commission, José Manuel Barroso, gave a speech in 2014 at the Yale School of Management, titled: ‘The European Union in the New World Order.’ Barroso said that the world is largely in a state of chaos, but “out of all this chaos some kind of order will eventually materialise.” He added that a gap is emerging “within the global sphere between an increasingly interdependent and interconnected world which lacks the global governance mechanisms to manage that interdependence and interconnectedness.” In essence, Barroso deceptively argued that the world is in such a state of chaos (the majority of which is created by the Western elite) that we are in desperate need of greater “global governance mechanisms” (i.e. order) – stronger global governance is practically synonymous with global government, but at bare minimum it’s the final stepping stone towards fully certified global government. Peter Mandelson, a former European Commissioner for Trade and British politician, said during a meeting at Chatham House in 2007 that he “sees the EU as Europe’s most promising means of engaging with and shaping globalization.” George Soros, the investor, billionaire and regime change extraordinaire, called the EU an “experiment in international governance.” Soros did state that the EU had “failed,” and that the surge in populism was threatening the union. But if the EU does completely disintegrate, the major danger is that the elite will push for further global integration as the solution. Founded in 1954, the Bilderberg group is illustrative of a shadowy network of super-elites who often make decisions in secret meetings that come to impact the lives of millions. The annual conference is attended by between 120 and 150 elites who meet to discuss global issues with a focus on North American and European challenges. It encompasses a range of individuals: from the heads of multi-national corporations to the leaders of nations; banking executives to media titans. In more modern times, Étienne Davignon, a former European Commissioner and an influential architect of European integration, revealed that the Bilderberg group helped create the Euro in the 1990’s. “A global elite has emerged over the past several decades that had vastly more power than any other group on the planet. Each of the members of this superclass has the ability to regularly influence the lives of millions of people in multiple countries worldwide… My researchers and I identified just over 6,000 people who qualify” (from the Preface). “But the center of gravity of elites has shifted. Today, the most powerful elites are global citizens tied more to international finance than national politics… If the richest and most powerful individuals in the world are now predominantly globally oriented, globally dependent, globally active, then an important shift has taken place in the world’s balance of power – away from national governments and away from national interests narrowly defined” (2009 edition: p.320). “The powers of financial capitalism had another far-reaching aim, nothing less than to create a world system of financial control in private hands able to dominate the political system of each country and the economy of the world as a whole. This system was to be controlled in a feudalist fashion by the central banks of the world acting in concert, by secret agreements arrived at in frequent private meetings and conferences. The apex of the system was to be the Bank for International Settlements in Basle, Switzerland, a private bank owned and controlled by the world’s central banks which were themselves private corporations” (1998 printing: p.324). The push towards a new world order is going to continue to meet resistance however, as the Westphalian model of international relations – based on the principles of national sovereignty and the non-interference in the affairs of other states – has been the central model since the Treaty of Westphalia in 1648. Furthermore, the fact that Russia is standing up for her national interests puts a significant spanner in the works of the Western elite.